Preheat oven to 350 degrees. In a large non-stick skillet, heat EVOO over medium heat. Add garlic and onions. 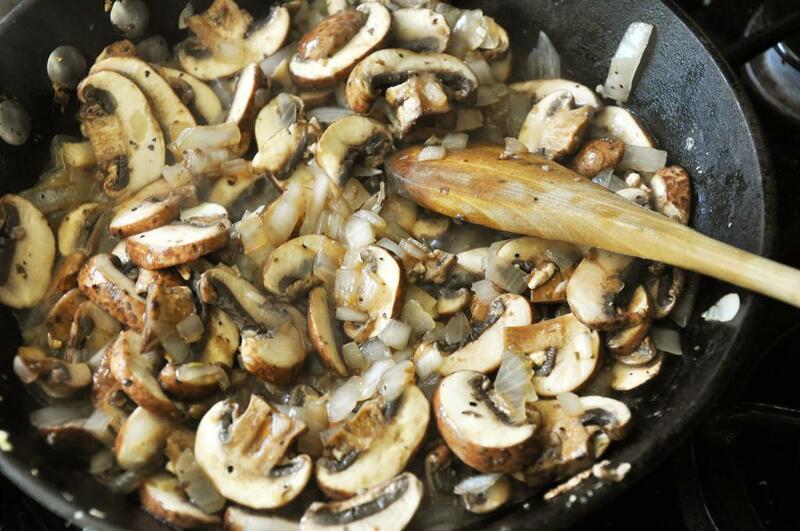 After 2-3 minutes, add sliced mushrooms, vinegar and SnP. Sauté, stirring occasionally, about 8-10 minutes. Make sure to cook off most of the liquid. 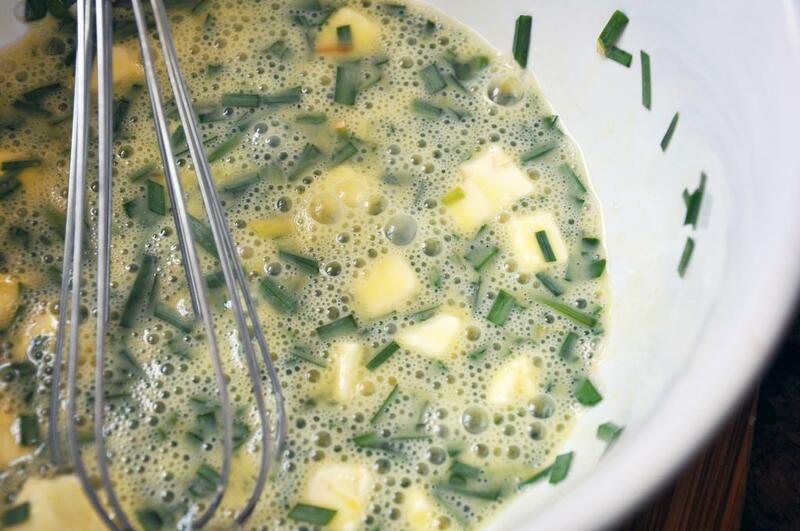 Meanwhile, whisk together the eggs and chives in a bowl. Add cubed pieces of butter and stir to combine. 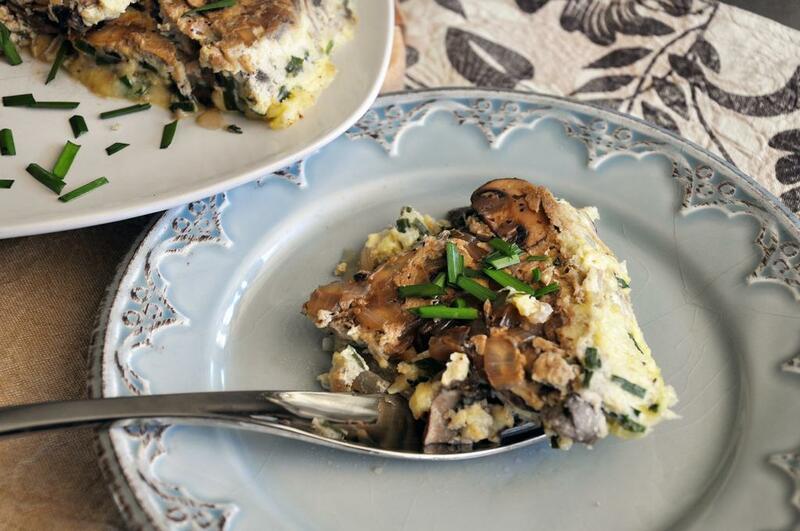 Turn the heat to medium-low and add the egg mixture to the mushrooms. After about 30 seconds, use a spatula to lift the edges of the eggs so the uncooked portion can seep underneath. Cook for about 3 minutes more until the bottom the eggs are set. 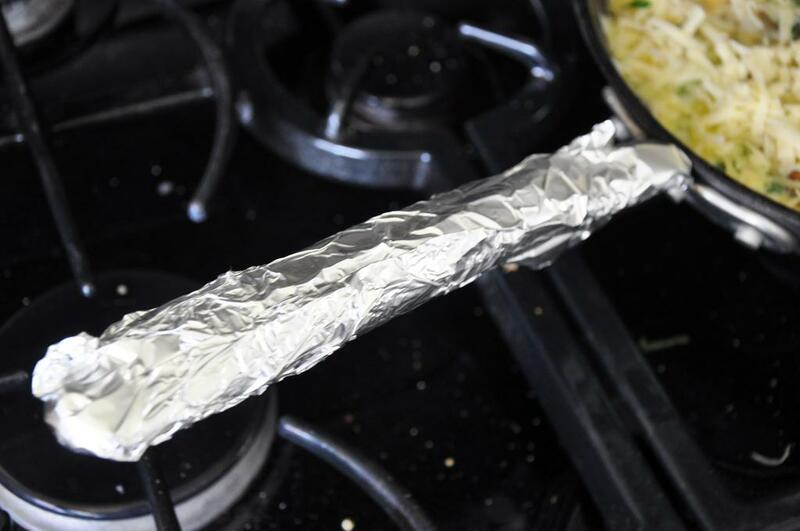 Sprinkle the fontina over the eggs, and wrap the handle of the skillet with foil if it's not ovenproof. 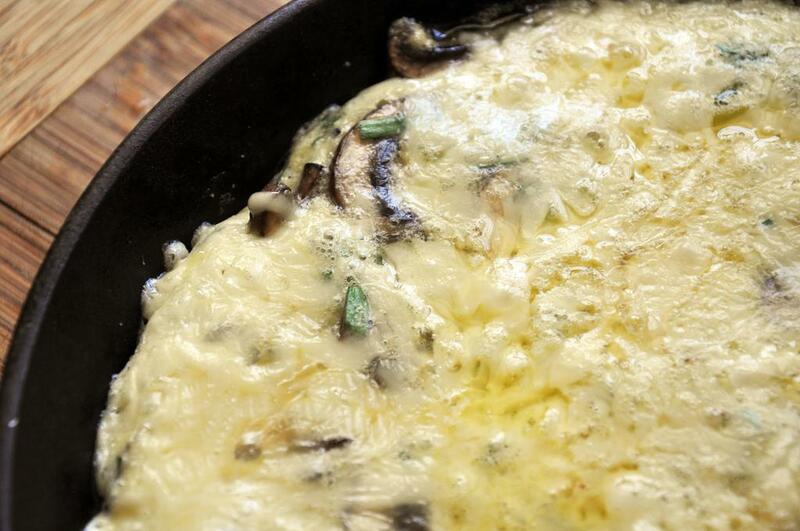 Bake frittata in the oven for 6-8 minutes until fluffy, set and cheese is melted. Cut into wedges and serve warm or at room temperature.